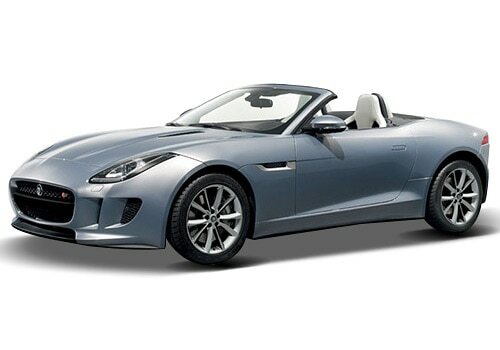 Jaguar cars, with its legendary E Type sports series, have now launched the all new Jaguar F Type in India. F Type is a two door convertible top sports car, which was shown at the 2012 Paris motor show. Now, is available in our country with the starting price of Rs. 1.37 crores (Ex-showroom, Mumbai). Tata owned famous brand Jaguar Land Rover gave a thrill on 8th July, 2013 to the local Indian market by its launch, the car is well-loaded with the latest features and will prove itself as a performer. The British auto maker maintaining its reputation of being popular for its sports vehicles for around 75 years, which have got them worldwide recognition from the side of car lovers as well as the critics. This sporty product is made available in two major variants supercharged V8 S and supercharged V6 S out of which first just one is made available in India for the time being. The Jaguar F TYPE Price comes with the tag of Rs. 1.61 crores (Ex-Showroom, Mumbai) for the V8 S variant, while the V6 S will be available for Rs 1.37 crore (ex-showroom Mumbai). As we all know the truth that the sports car market in India is very small, hence it will enhance the appeal of the brand in the country. There is a lot to be admired about the car, such as appearance, aerodynamics, plush interiors, power, transmission, acceleration and the durable structure provided to its built. Performance is the USP of this series and is sure to attract a high number of sports car buyers because of its striking sports car features. The maker will bring it as a Completely Built Route (CBR). The 3000cc V6 engine of F Type will have a displacement of 3.0 litres and will feature supercharger technology. The maximum power churned out by the engine of this model is 380 bhp, with an alarming torque of 460 Nm. The V8 S version is a bit quicker than this, providing maximum power of 495 bhp and 625 Nm of maximum torque. These models can accelerate upto 100 kph in a short span of 4.9 seconds and 4.3 seconds, respectively. The stunning car boasts of the dual independent variable cam timing (DIVCT) system, which facilitates high and quick actuation rates. Regarding its exteriors, the Jaguar F TYPE pictures show a muscular yet elegant look that adds to its style quotient along with ensuring excellent driving. It is constructed on the concept of light-weight aluminium architecture in an aerodynamic design, which is an industry latest updated technology directed at providing agility, control and better handling. Some of the main Jaguar F TYPE features the exterior design which include full rear LED lamps, deployable doors, a deployable spoiler, 20” alloy wheels and clamshell hood. Also, a wind deflector is added to the body of this car to give it an admirable look and in turn it helps the car to get faster. It is said to be the perfect car to launch as a comeback of the company into the sports car segment, for which it has always been known and revered.